Over the years I’ve found I don’t read as much as when I was younger I’d easily read a novel in one week, now I’m lucky to read one book a month. I guess that’s due to having more responsibilities and finding other hobbies and activities and things that take up my time. The thing is I’m always picking up books in charity shops that I’ve read good reviews of or they’re on lists of books you should read in your lifetime or the cover caught my eye and the description on the back cover sparked an interest. My bookshelves are crammed with books I’ve not yet gotten round to reading and old favourites that I keep meaning to reread therefore I’m setting myself the challenge to read more hence this Book Report project. First up is a book I actually found on the surround of Floozie in the Jacuzzi. I’d been to the BCU School of Art Graduate show and was killing some time taking photos in Victoria Square before meeting former colleagues for food and drinks in Colmore Bar & Grill. As it was a lovely warm evening I decided to have a seat down at the Floozie when I spied this book next to where I sat down. I picked it up to see what it was. The back cover blurb said “Some stories cannot be told in just one lifetime. No matter what he does or the decisions he makes, every time Harry dies, he always returns to where he began, a child with all the knowledge of a life live a dozen times before.” it caught my imagination and so I picked it up as there didn’t seem to be anyone around coming to claim it. 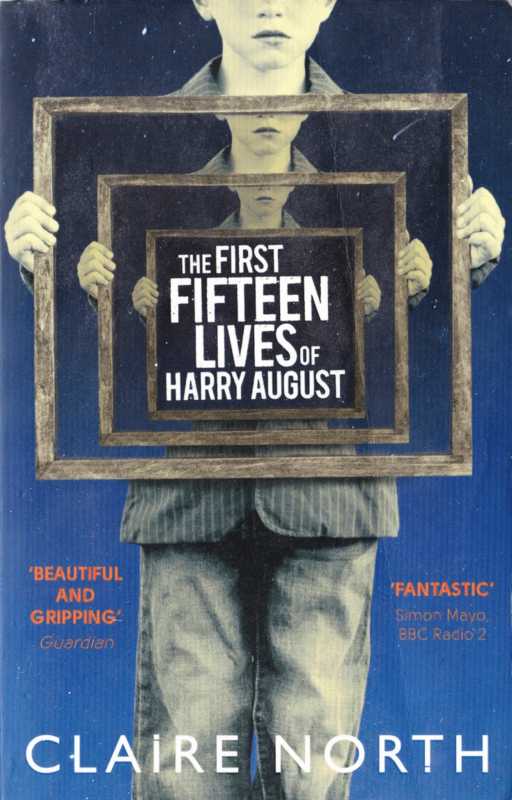 Harry August is a kalachka which essentially means he gets reincarnated as the same person each time he dies and each time he comes back he retains his memories from his previous existences. It is an interesting concept that he gets born in the 1920s each time yet he is aware of all the key events and technological advancements that are going to happen in the future. The trouble is he and others like him are not meant to change events i.e. introduce antibiotics earlier than they were originally invented as this causes chaos further down the timeline. Essentially the plot deals with Harry and his interactions with Vincent who is a fellow kalachka who has gone rogue and is altering the timeline. To be honest I kind of got bored around Harry’s sixth life. The book never really explained how Harry has come to have this gift or why there isn’t multiple versions of him in the same place or how many lives he has. Although the author is female I didn’t feel the female characters were as rounded and explored as much as much as their male counterparts. For me the concept was much more interesting than the book turned out to be. I’d heard a few friends say this was a great read and so I picked up a copy in one of my local charity shops. The book is set in the 17th century and centres around Nella Ooortman who is an eighteen year old who is sent from her home in the Dutch countryside to Amsterdam to marry Johannes Brandt, an older gentleman who is a successful trader. As her husband is frequently absent due to business trips or locking himself away in his study Nella is left with the company of his sharp tongued sister Marin who rules the household and their servants Cornelia and Otto. Nella is presented with a cabinet sized doll’s house replica of their home as a wedding present from her husband which she then seeks to furnish with the help of the elusive miniaturist whose eerily accurate creations mirror their real life counterparts in unexpected ways. The miniaturist appears to know so much about the Brandt household and their secrets and futures and begins to send Nella unsolicited orders alongside cryptic notes yet despite being the titular character they only appear fleetingly. Over the course of the book we follow Nella’s progression from being a young and naive girl to developing into a independent, smart and liberally minded young woman as she finds her place within the Brandt household. Generally I don’t tend to read historical novels but I found this to be one of those books that I read quite quickly although I wasn’t sure at first whether this would turn out to be a supernatural book given the seemingly prophetic nature of the items the miniaturist makes. 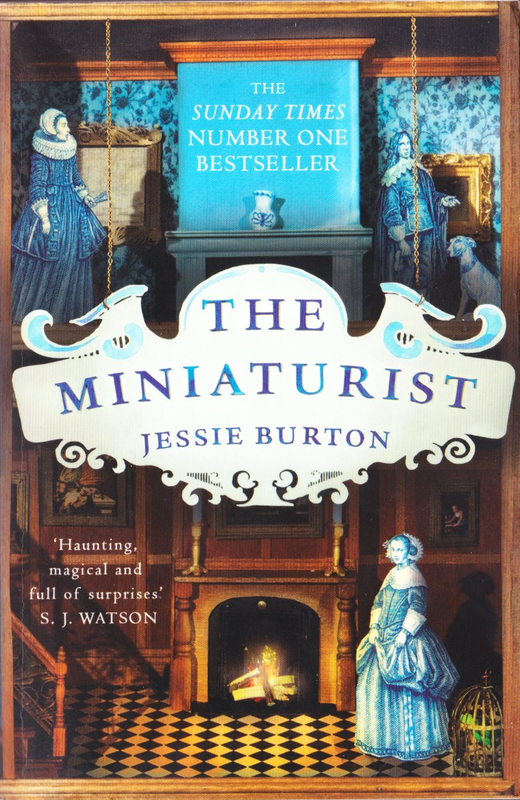 I think if you took out any references to the miniaturist it would still be an enjoyable book as it deals with themes such as puritanism, racism, colonialism, gender roles and hidden sexuality and I found Jessie Burton really sets the scene with her evocative descriptions throughout the book. As this is her debut novel I would be interested to read her next book. I think The Miniaturist is one of those books that I can see being a staple of book clubs as there’s certainly plenty of things to discuss about it’s contents. This was picked up during one of my weekly supermarket shops. 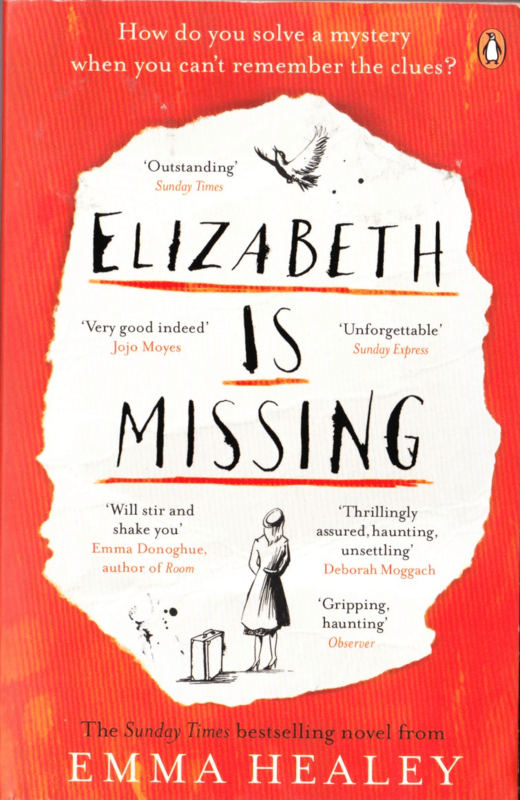 The book tells the tale of Maud who at 82 is suffering from dementia and embarks on a quest to find her friend Elizabeth who she believes is missing, there is also a strand running throughout the book that deals with Maud in her youth and her sister Sukey whose disappearance in the 1940s is still unsolved in the present day. We see that Maud is very forgetful as she often buys tins of peaches even though she has a cupboard full, she writes herself notes which she leaves around the house and in her pockets as everyday life becomes more of a jumble for her. It’s through reading one of her notes that says Elizabeth is missing that Maud decides to go on a mission to find her friend as nobody takes her concerns seriously due to her dementia. The tagline of the book is “how do you solve a mystery when you can’t remember the clues?” The book shows the effect the dementia has not only Maud as she struggles to retain her independence but also her daughter Helen and granddaughter Katy. I found the book to be a bit repetitive at times perhaps this was supposed to be a method of conveying the dementia? I think the book started off well but as I worked my way through it I found I did predict the twist (don’t worry I won’t spoil it for you!” I wouldn’t say it was an awful book as I did finish reading it, but it had a bit of a meh factor to it. In an age where people can choose their potential partners by swiping right on their phones, this book focuses on Don Tillman’s who is a socially challenged professor of genetics and is used to strict routines who decides to write a questionnaire dubbed the ‘Wife Project’ to find his ideal match after he is told by his elderly neighbour Daphne that he would make a great husband. The book follows his forays in the dating world which includes an attempt at speed dating. Although he has not been labelled as such, it is heavily implied that Don has autism or Aspergers whereas he assumes he is lacking some vital human connection component as he often makes social faux pas and can count all of his friends on one hand. It’s no surprise then that Don seeks romantic advice from his best friend and colleague Gene who is in an open marriage and is on a quest to sleep with a woman from every country. Don lives by a set of very rigid rules and therefore discounts women from the ‘Wife Project’ if they don’t meet his standards i.e. she must be a non smoker and punctual. He is then introduced to Rosie a student of Gene’s who is also a part time barmaid who most definitely does not meet Don’s criteria for his ideal woman. He ends up embarking on a project with Rosie to test DNA from her mother’s former flames to ascertain who is her biological father and the ‘Wife Project’ takes a back burner. 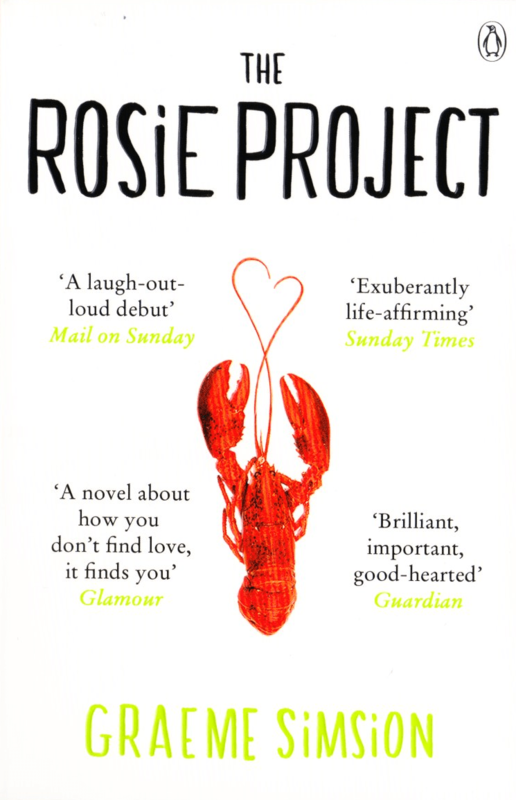 Rosie is a spontaneous whirlwind who shows Don that love is not always what looks good on paper. This was a nice easy read possibly due to the fact it originally began life as a screenplay. At first I wasn’t sure that Don and Rosie would work well as a couple but then there’s the old adage opposites attract and by the end of the book I was rooting for them to be together. The author balanced the comedic moments and the romance well. I could see this being adapted for the big screen, it would be interesting to see who would play Don as he is described as looking like Gregory Peck circa Atticus Finch. Hope you’ve enjoyed reading my book reviews. What books are you reading at the moment? Have you read any of these books, if so what did you think of them?